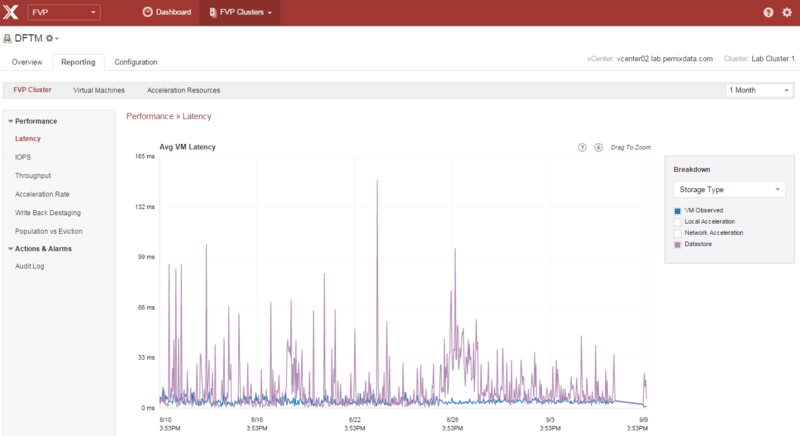 PernixData Archives - VIRTUALIZATION IS LIFE! 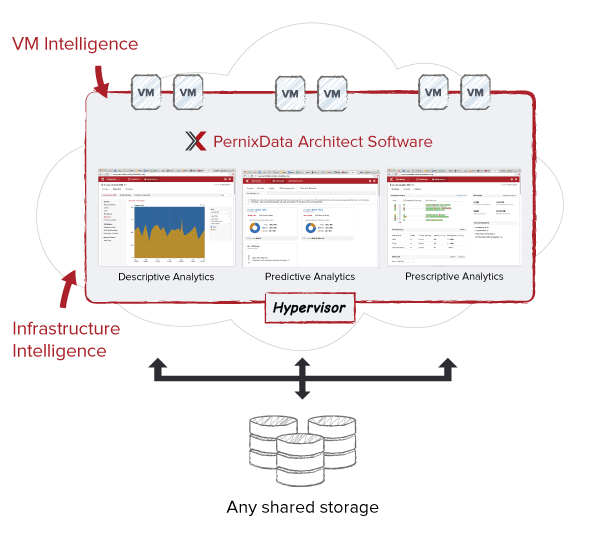 PernixData has released version 3.5 of their FVP acceleration platform as well as version 1.1 of their Architect storage intelligence platform. Compared to previous releases the list of new features is relatively small however there are a few new features that are worth the upgrade from previous versions. 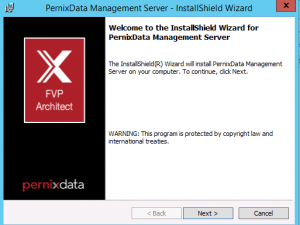 Probably the biggest addition in this release is the introduction of a standalone PernixData Management Server Appliance that can be used an an alternative to the installed management service that previously only run on Windows. 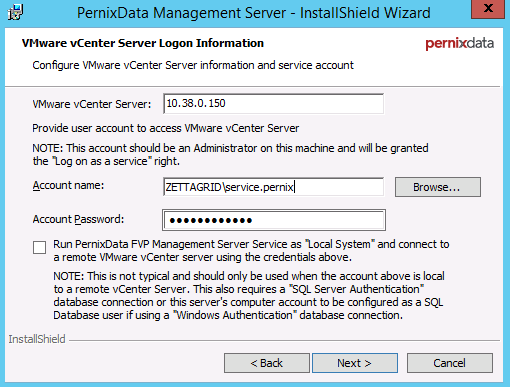 This had been a common request by PernixData clients so its good to see that they have responded and released the VSA. The Management Appliance contains a built-in PostgresDB though it does have the option to connect to an external MSSQL in order to preserve a current config. Along with the new VSA there have been some improvements to the PDF Reporting and that reporting will now ignore blacklisted VMs that are ignored in the working set calculations. There are also some improvements to the clickability of the VM Performance graphs that take through through to VM performance data when clicked. For FVP the biggest addition is support for both physical and virtual RDMs though there are limits in that all hosts must be on the latest version of FVP, MSCS and Oracle Clusters are not supported and there are conditions around the use or third part backup applications. Along with that there is increased search functionality for large environments and some better metrics for read and write operations. Apart from the new features there are a number of general bug fixes and platform improvements as contained in the Release Notes. FVP is an amazingly simple and elegant solution for those wanting to get more out of their existing backend storage or looking to add new levels of performance via SSD or PCI Based Flash…FVP 3.5 and Architect 101 software, along with documentation, is available on the PernixData support portal at http://support.pernixdata.com. Came across an issue this morning trying to remove old 2.0 PernixData FVP Host Extensions from an ESXi 5.5 Update 3a Host. When running the uninstall script I was getting the error shown below. 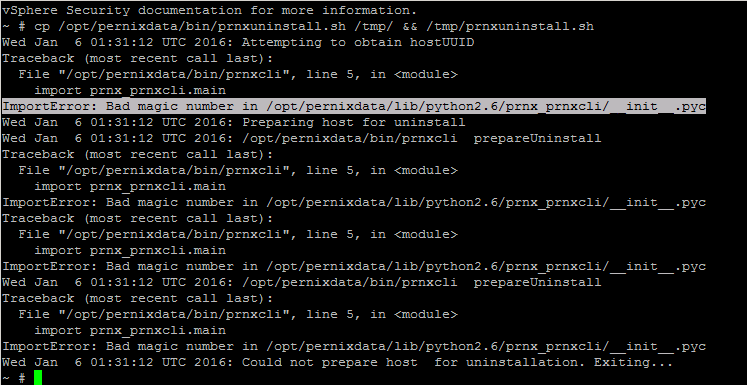 There is an old known issue with the version of Python that gets installed with the latest updates of ESXi 5.x and older versions of the FVP Host extensions. Upgrade issues exist with various ESXi 5.5, 5.1, and 5.0 releases that upgrade to Python 2.7, which is not compatible with FVP 2.5.0.1 or lower. 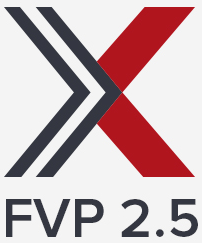 Upgrading to any ESXi 5.5, 5.1, or 5.0 patch that upgrades the Python version to 2.7 (or later) requires an FVP upgrade to 2.5.0.2 or later. For additional information, please reference KB 1230. You can apply the same steps to resolve the issue. The Shell Dump is below of the steps above. 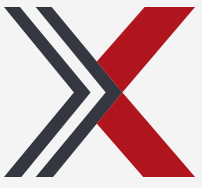 PernixData had a number of announcements at Virtualization Field Day back in June including details around their v3 release of FVP as well as the announcement of their Freedom Edition. The other announcement was around Architect which is PernixData’s play at deep storage Analytics and Intelligence. With the advantage of being plugged right into the ESXi kernel the FVP Architect Host Extensions allows the software to represent (at a deeper level) statistics around VM performance, IO Profile and working set. I’ve installed the beta into my FVP Freedom Parent lab to get a feel for what Architect can do and what level of detail it could provide. As mentioned I choose to upgrade my existing 3.0 Manager to the 3.1 binaries you get access to as part of the beta and I have it running side by side with my Freedom Edition. You can see above that there is a slightly different installer with the FVP Architect Logo and the upgrade process was no different to upgrading between minor or major releases of FVP. After the upgrade you need to go to the PernixData Management Console and activate the Architect license which is set for a 60 day trial. One thing to mention before moving on is that the Architect platform started to populate data even with the FVP 3.0 Host Extensions installed…meaning that I didn’t have to upgrade to the 3.1 beta bits…not sure what I’m missing out on short term buy not going up to 3.1 but it appears to be doing it’s job ok. Working through the various Dashboards of Architect you start to get a feel as to what PernixData are trying to achieve with this software…there are the usual performance metrics we are used to seeing (Throughput, Latency, IOPS and Acceleration Rates) but right from the start you see additional bits of information that up until now, have been hard to capture and represent…IO Block Size breakdown distribution and percentage, working sets of VMs and Hosts and then (after an 4-8 hour wait) recommendations are given against VMs as to weather they are best suited for read or write back acceleration. A few things that I was surprised with from looking through the data was that my NestedESXi Labs where extremely write intensive and the average block size we a tiny 4-8K. Overall I am pretty impressed with Architect and for someone that loves analytics and metrics I find myself being engrossed by all the data that’s being presented and intrigued by what I am finding out about this particular platform. 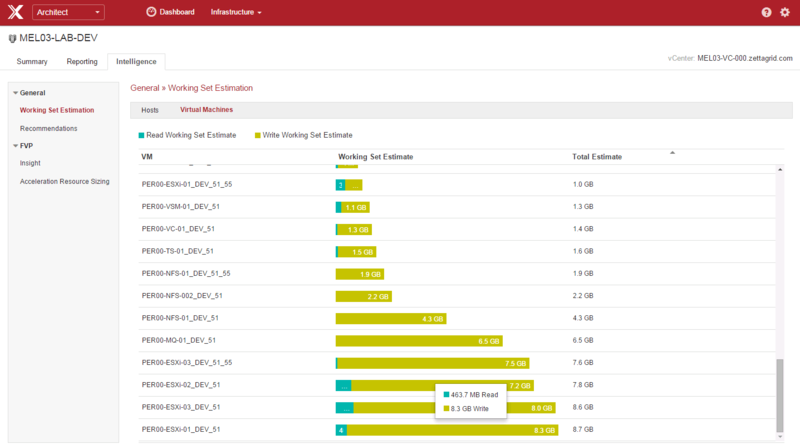 The beta program for their Architect software is open and you can register below for the 3.1 Beta of PernixData Manager and the FVP Host Extensions. At the Virtualization Field Day back in June PernixData Announced they would be releasing a free version of their FVP software…FVP Freedom. Overnight Freedom was released and as I have been eager to put it to use in my Lab for a while now I’ve gone through the install steps and put together a guide/first look. For my NestedESXi Labs I run five hosts that are a mix of ESXi 5.5 and 6.0 Clusters managed by the 6.0 vCenter Server Appliance. The FVP Management Server is hooked up to the Active Directory for authentication and I am running MSSQL locally on the server to keep the required services local. Once you have the pre-requisites installed launch the FVP Manager Installer ( I choose Custom Setup ) and work through the install options including configuring the vCenter details and authentication, database and FVP Manager IP and Port settings. Note: There is still this password issue when special characters are used. At this point, before installing the Manager you are told that the FVP Freedom Edition is being installed and you can activate using the license page. If, like me you have installed MSSQL on the same server you may get the following warning. Once logged in using the credentials supplied during the setup process you will see a familiar layout to what was previously in the VI Client and will show up in the Web Client. 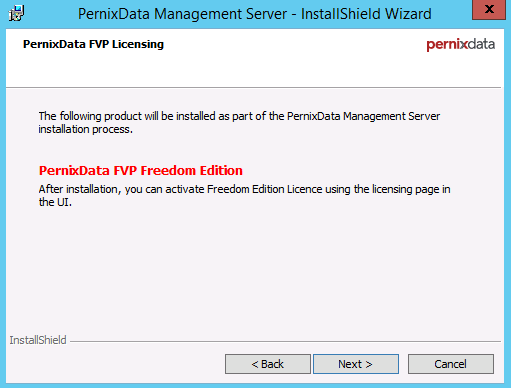 To install your FVP license (you should have received the license in a seperate email from PernixData after registering for FVP Freedom) click on the Licensing Tab and select the vCenter Server from the list and Click on the Enter FVP License Key. At this point the Online Activation should take place and you should see the FVP License Type change to Freedom Edition. 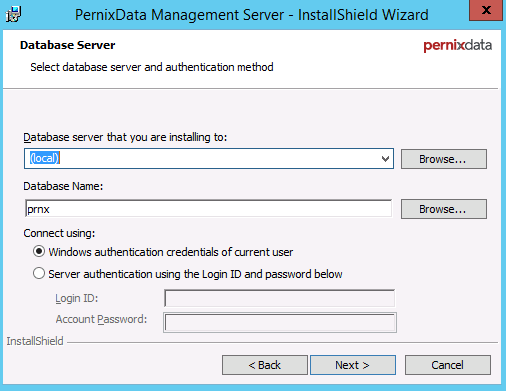 Clicking on the License details in the lower pane will show you just want PernixData are giving away with this edition. Installing the Host Extensions is a straight forward process and I won’t go into too much detail as there are other blog posts around that cover the subject. In a nutshell you can use Update Manager to push the bundle out or use the following esxcli command on the hosts directly. With the new Stand Alone Management Console the vCenter Web Client is used as a pointer. 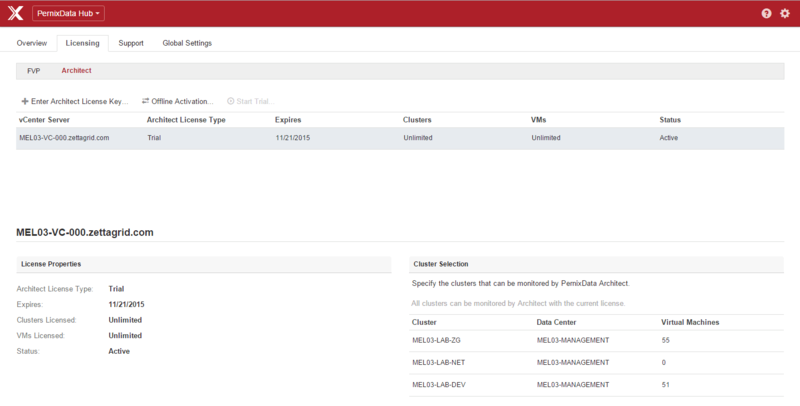 As shown below the PernixData Logo now shows up in the Home Page and clicks through to a summary screen where you see the FVP Cluster details and get some basic insights into how the cluster is performing. Last week at VMworld I was lucky enough to spend some quality time with the PernixData team and got some great insights into their future products including FVP, Architect and FVP Freedom. 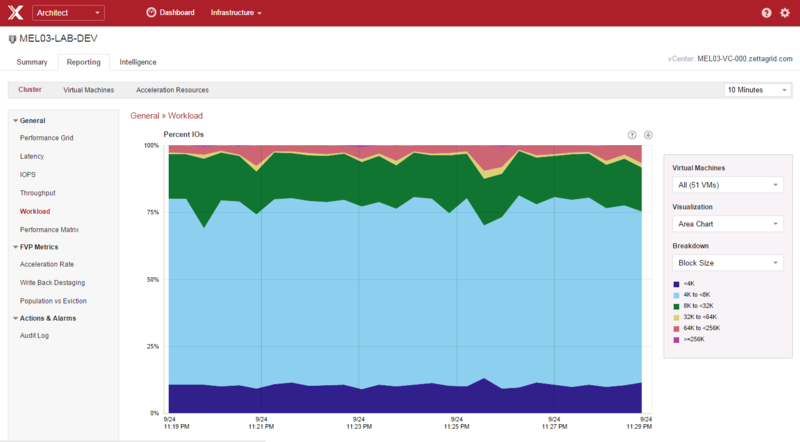 Today PernixData has released into GA FVP 3.0 which includes some significant new features and supportability for all those who are on vSphere 6.0. There are also some performance enhancements, support for offsite metadata analytics of if you choose to allow PernixPlus as well as an improved license activation experience through the new HTML5 Portal. FVP 3.0 introduces support for vSphere 6.0. Maintain your world class performance as you transition over to vSphere 6.0. FVP 3.0 also supports mixed environments of vCenter 6.0 with hosts running ESXi 5.1 or newer as you phase in vSphere 6.0 across your data center. With the support of vSphere 6.0, FVP 3.0 will no longer be supporting vSphere 5.0. FVP 3.0 offers a completely new user experience. Administer FVP using a modern, fast, and flexible interface with a web browser while moving past the inherent limitations of the vSphere Web Client. This new interface can be used on its own, or easily launched from the vSphere Web Client. 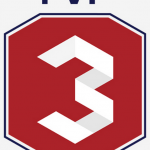 FVP is known for its elegant presentation of performance metrics, and version 3.0 improves on this experience even more with enhancements to the performance data presented. 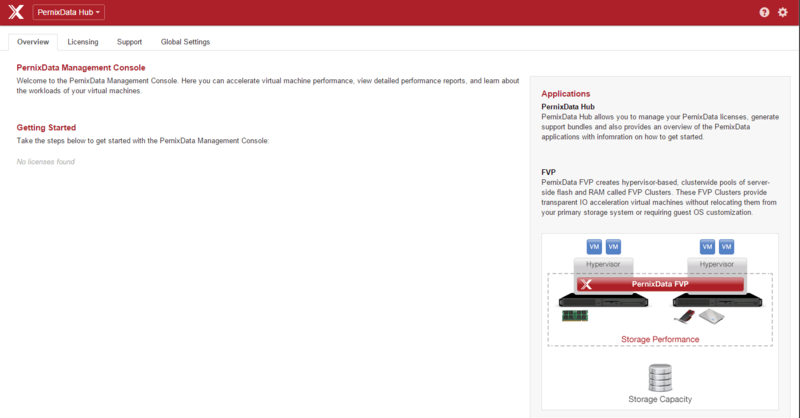 FVP is an amazingly simple and elegant solution for those wanting to get more out of their existing backend storage or looking to add new levels of performance via SSD or PCI Based Flash…FVP 3.0 software, along with documentation, will be available on the PernixData support portal at http://support.pernixdata.com. 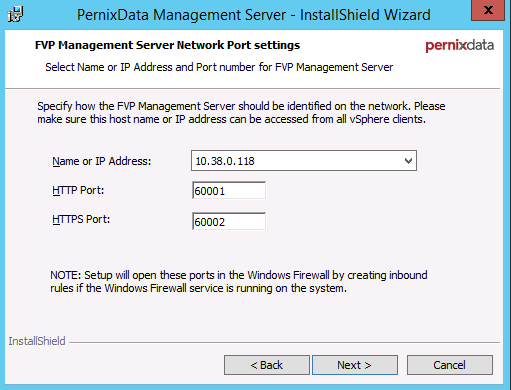 As a sidenote, with this release PernixData have stopped official support for FVP 1.0. At Virtualization Field Day 2015, PernixData CTO Satyam Vaghani presented to the VFD5 delegates on some of the new features being released by PernixData. Personally speaking FVP is already a great product and at times I wonder what more can be done to make it better. However from what I have heard and now seen at VFD5…PernixData are not going to rest on the current success of FVP. In what is becoming less and less of a surprise these days with disruptive Tech startups PernixData are releasing a free version of FVP called “FVP Freedom” This will be a free, community based version of FVP. The fact you can only accelerate VM read workloads on RAM is a little bit restrictive (and resource expensive) but being able to use the DFTM-Z feature is seriously impressive and a very smart move by PernixData who openly state that they way FVP in every ESXi hosts on the planet! Grand plans forsure, but by releasing this free tier it allows enthusiasts to consume the product at it’s most capable. 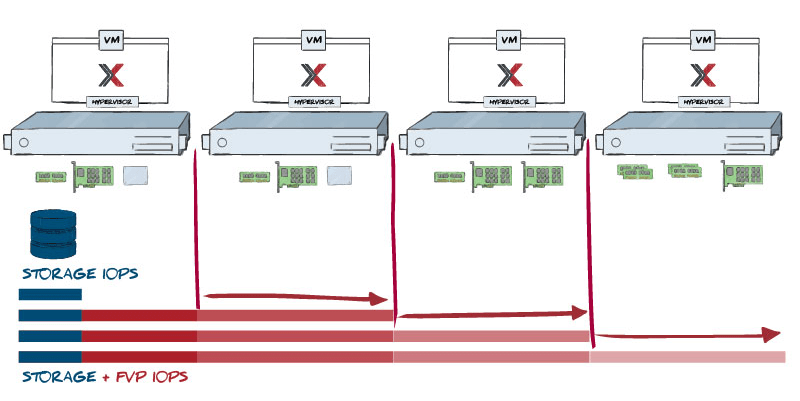 For a further read up on the reset of the PernixData Announcements at #VFD5, head over to Duncan Epping‘s blog post here or have a read of James Green’s post here. In a nutshell it’s awesome and if Veeam hadn’t recently patented a certain phrase, I would associate that particular phrase with FVP. Distributed Fault Tolerant Memory-Z which compresses data stored in RAM. Intelligent I/O profiling, which provides a way for administrators to temporarily suspend and resume acceleration on virtual machines, and without deleting the flash footprint for those VMs. Network acceleration for NFS datastores. For me the standout being Memory compression which opens the door for more efficient use of FVP to use precious/expensive RAM resources as acceleration cache. Check out Frank Denneman’s blog here where he goes through the feature in detail. Some of the numbers accosiated with FVP RAM acceleration are just silly, so the ability to compress and be smart with the data used in memory makes it more attractive to add a little more RAM to those Host Build sheets. The I/O Profiling is manual at the moment, but is a good start for those who know VM workloads that could potentially inject “dirty” blocks into the FVP cache during backup or Virus Scanning operations…I’d like to see this become even more intelligent at become self aware of data that’s dirty…this would be a big help for Service Providers. In terms of Bug Fixes, there is a fix for those using Using Veeam to restore a VM to a different datastore on the same host which had resulted in the VM remaining in a stalled state. 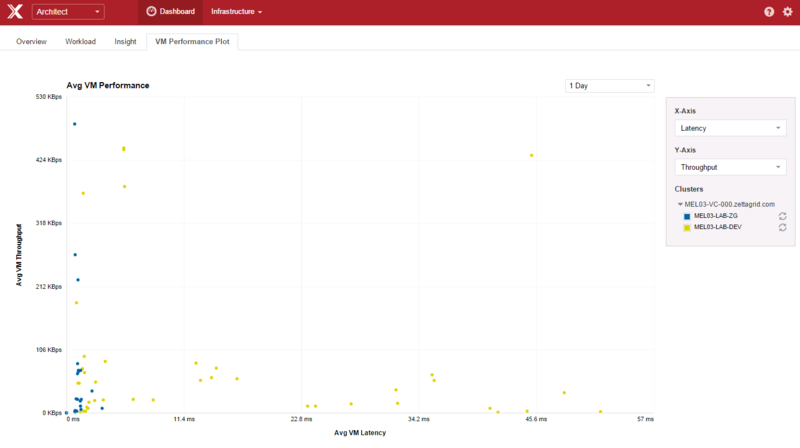 Thanks for PernixData who made me a PernixPro last week…I love the technology and it’s certainly done wonders within our ESXi platforms to help solve issue with higher than wanted storage latency. If you have spare SSD or want to check out the RAM cache features of FVP, head to the site and download a full 30 day trial…easy to install and low impact in terms of configuring FVP against datastores or VMs.